134 people want to do this. 5 people have done this. Started! Hopefully no one in the house touches it. This is actually something I already do, but I want to add to it. Start with a $20 bill, make a small cash purchase at least once a week with the change going into the jar. Once at $6 dollars or less, add another $20 bill to cash on hand and continue. 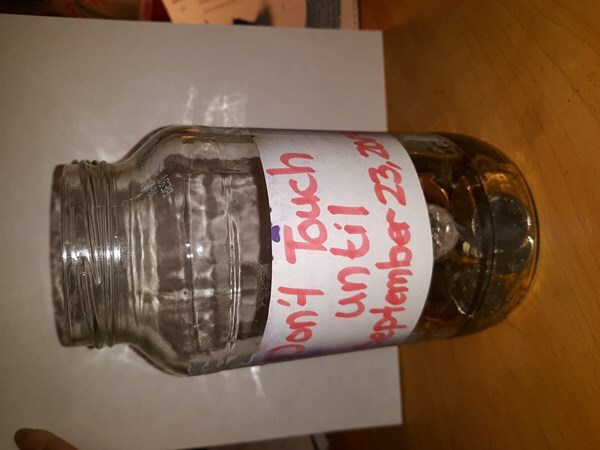 Loose change from every purchase must go in the jar. Tally at the end of Mission, or if the jar becomes a full, whichever comes first. Currently about a 3rd full before start of mission with $65 already inside.